If you have been injured in an accident in Chicago, you are likely wondering what options you might have, especially if the accident wasn’t your fault. While a personal injury lawsuit may sound daunting, it could be your best option, especially if bills are piling up and you are unable to work. While it may take a year or more for your case to be settled, most cases are settled before going to trial, and the right attorney can help make that happen. What Steps Should I Take After I Am Injured? What Qualities Should I Look for In a Good Personal Injury Lawyer? Personal injury cases most often center around bodily injuries that occur as a result of someone else’s negligence, and can include physical pain, disability or illnesses as well as disfigurement, impairment or loss of life. The most common tort associated with personal injury is negligence, which allows personal injury claims to be made either by the injured party or on behalf of the injured party, in cases involving minors or wrongful death. INTENTIONAL INJURIES. This category involves injuries that are a result of another’s willful actions. Examples include domestic violence or assault. STRICT LIABILITY. These cases involve injuries caused by a company’s defective product. “Slip and fall” injuries. Slip and fall injuries or other injuries are caused when property owners or those who are renting a property fail to properly maintain a premise or keep it free from hazards. Car, bus, tractor-trailer, taxi, ridesharing, motorcycle or bicycle accidents. Car accidents are the most common personal injury case. Most accidents are the result of someone failing to follow the rules or the road or driving carelessly. While some states are “no-fault” states that require costs of accidents to be covered by an injured party’s own insurance except in the case of serious injuries, Illinois is not one of them. Medical malpractice including birth injuries. Medical malpractice claims are made when a doctor or other healthcare professional fails to provide a standard level of care, resulting in a patient’s injury. Dog Bites. In most dog bite cases, the owners of a dog are responsible for bites or other injuries caused by their dog, unless the dog is provoked by the injured party. While some states have “one bite” rules that do not hold an owner responsible if their dog has never before shown aggression, Illinois is a strict liability state, and dog owners will likely be held liable even if they had no way of anticipating their dog’s aggression. Workplace Injuries. Injuries that happen on the job are covered by workers’ compensation, but the complexities often require an attorney to help hold a workplace liable for the expenses associated with those injuries. Wrongful Death. Wrongful death cases can include car accident fatalities, hospital deaths related to medical malpractice, nursing home deaths or workplace deaths. In Illinois, there is a two-year statute of limitations set for filing a personal injury lawsuit, although the time limit may run from the time you discovered your injury rather than the date the injury itself occurred. Claims against a city or county also have a two-year statute of limitations, however, a formal claim must be filed within one year. Illinois has a modified comparative fault rule that may apply if you were partly responsible for your injuries. If so, the court will calculate damages you are eligible for based on the percentage of fault you are assigned. If you are more than 50 percent at fault, you are not eligible to receive compensation from another at-fault party. The state does not have damage caps for personal injury cases. If you are a victim of a personal injury that was the result of someone else’s negligence, there are several things that you need to do in order to protect yourself. Call 911. It is important for police and emergency personnel to be on hand, not only to file a police report, which will be important evidence if you choose to file a lawsuit but also to make sure that any injuries are attended to quickly. Gather vital information. If you are in a motor vehicle accident, make sure to get contact information from everyone involved including witnesses. Get insurance information from the other driver, and write down the make, model and license plate information of all the vehicles involved. Take photographs. Photographs are a visual diary of what occurred and can accompany a police report. If the accident was the result of negligence on the part of another, photographs will serve as evidence. Take photographs of car accidents, of workplace hazards or any other evidence. The shots you take will serve as the visual proof you’ll need if your case goes to court. See a doctor. If you aren’t transported to an emergency room by ambulance, go there yourself. Not only will you have medical evidence after an accident, preventing the other side from claiming your injuries were not the result of your accident, you’ll also ensure that you haven’t missed any injuries that may reveal themselves later on. Call an attorney. If you were injured due to someone else’s negligence, you don’t want to go it alone. An attorney can help protect your interests and will make sure that an insurance company doesn’t make a lowball offer that won’t cover your long-term expenses. A personal injury attorney works on a contingency basis, and won’t get paid until you win your case. In Illinois, personal injury lawyers typically charge between 25 to 40 percent of the total amount they recover for you. Your consultation, however, will in most cases be free. Keep track of all your medical bills. If you have any injuries whatsoever, you will want to seek compensation to cover your medical bills, earnings, and other related expenses. Keep all your bills organized – physical therapy, medications, rehabilitation, MRI’s. This can make things better for your attorney when determining compensation. If you have been injured due to someone else’s negligence, it’s important to find a good attorney to help you navigate difficult, confusing and sometimes treacherous legal waters in order to ensure that you get the compensation you need to cover the costs associated with your case. But how do I find the right personal injury attorney? A good personal injury attorney is critical to your case, and having an attorney with confidence in the courtroom could make all the difference to your case. Testimonials. Look for firms that have testimonials from clients, whether they are online testimonials or are offered as part of the law firm’s advertising campaigns. Knowing how other clients with similar situations fared will help you know if that particular attorney or law firm is right for you. Examples of successful settlements. The right attorney will have proof of successful cases that were either settled in or out of court. Referrals. The Chicago Bar Association, one of the oldest urban bar associations in the country, offers a referral service that makes the names of area lawyers available, grouped by their specialty. The service only includes prescreened attorneys, and the personal injury attorneys are experienced in “auto accidents, slip and falls, products liability, wrongful death, malpractice and other types of injury cases,” according to the Chicago Bar Association website. Your attorney handles personal injury cases. Ensuring that your attorney has handled personal injury cases is important, because some general practice attorneys may not have the wealth of knowledge needed to help you win your case. Your attorney’s firm has the funds to cover up-front costs. Expenses for some cases, including the cost of expert witnesses, can be extensive. You want to be sure that your personal injury attorney won’t look to you to shoulder the burden of any of those costs. Your attorney communicates well with you. This is probably the most important factor in selecting an attorney. The right attorney will return calls and emails in a timely manner or will schedule a meeting to discuss your case in person. Your attorney should also always make sure you are updated on any new developments in your case, and if he or she is too busy to do so, you may want to seek out new representation. 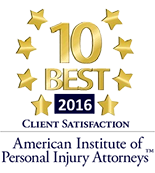 If you are looking for a personal injury attorney in Chicago, we are ready to help. We will handle the complexities of your case, making sure you are aware of all of your options along the way, so you can focus on recovering from your injuries. Call us today. 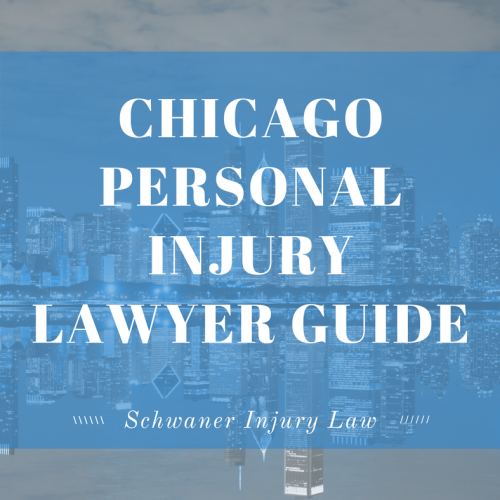 Chicago Bus Accident Guide – Injured In a Bus Accident In Chicago? Chicago Dog Bite Injury lawyer – Have You Been Bitten By a Dog?